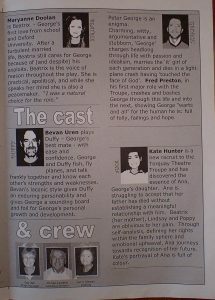 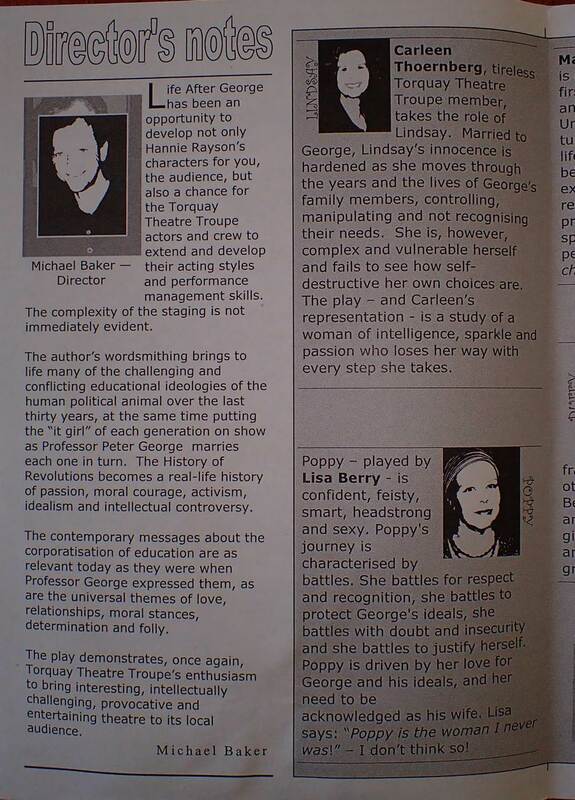 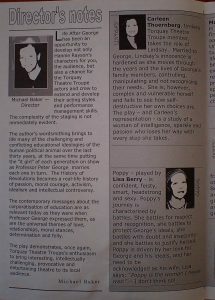 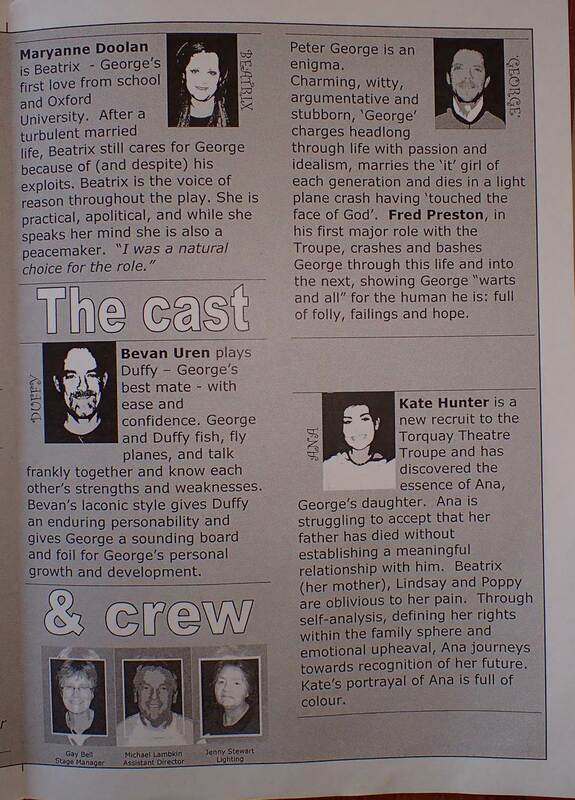 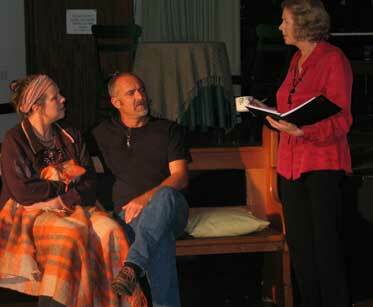 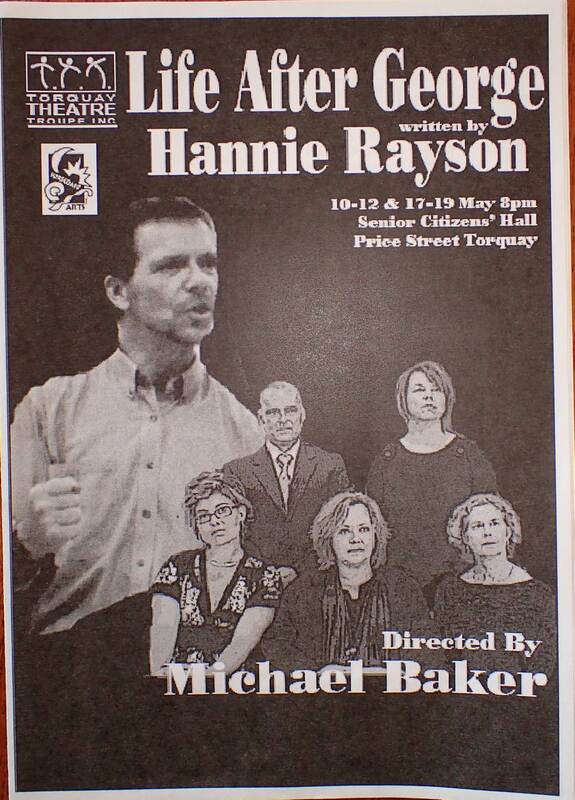 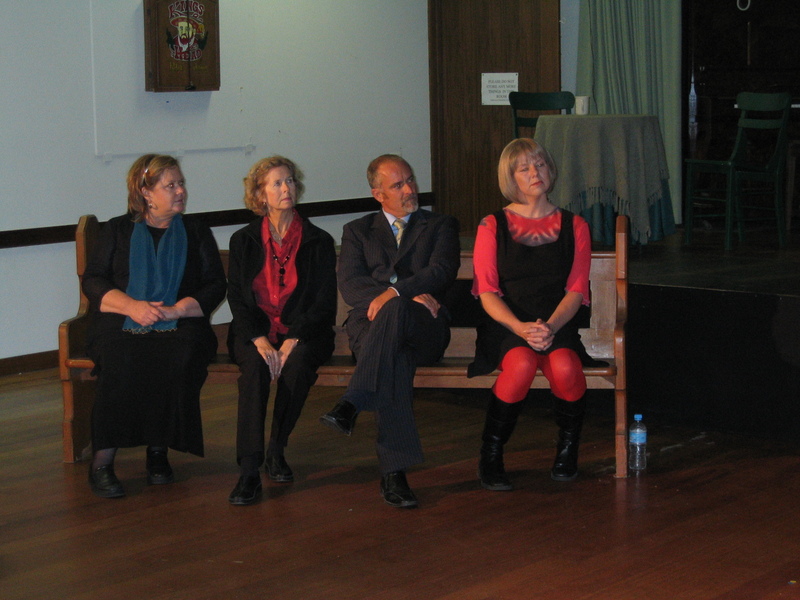 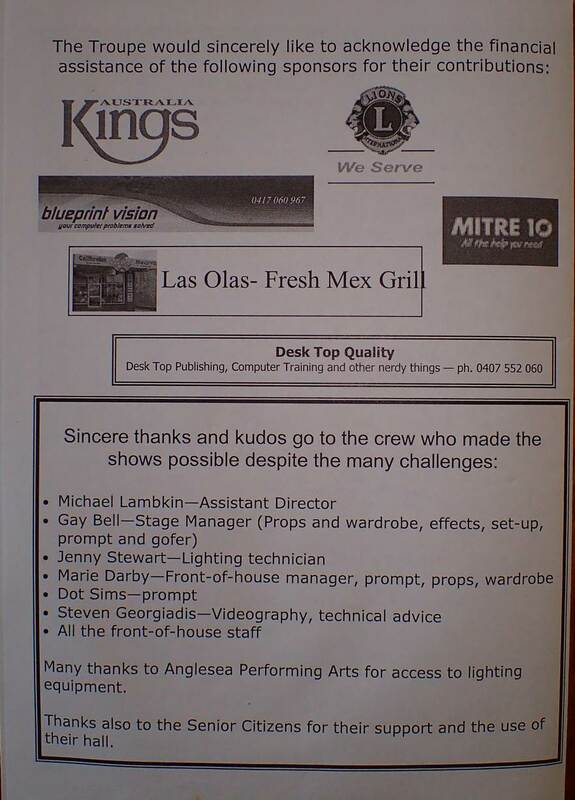 Another in Torquay Theatre Troupe’s repertoire (May 2007), Hannie Rayson’s ‘Life After George’ was a fantastic success for the team. Under Michael Baker’s skilled and detailed direction, the cast reached new heights of performance with their portrayal of academic Peter George’s family and friends after his aeroplane crash death. 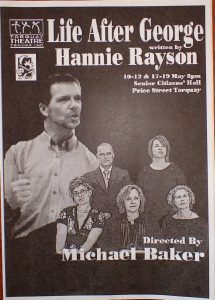 With a new level of technical excellence (audio, video and lighting technicians), the stage was set and brought to life in different eras and locations from Paris in the late 60’s to Tuscany in 2005, from a funeral parlour to academics’ offices and from Flinders Island to nightclubs and private homes, the cast and crew took the audience on a roller coaster ride through Peter George’s life (and death) in an intriguing woven fabric of social interactions and relationships.